ALL THE LAST FLOOR ( 90 m2 ) of a typical savoyard chalet completely renovated,decorated traditional wood and stone,with a balcony facing mont blanc, AMAZING and panoramic view on the chain of the mont blanc,triple exposure,south,east,west,very peacefull, NEAR downtown, SKILIFTS and forest. BED SHEET SUPPLIED the beds are made at your arrival . One with a single bed . One with a double bed a single bed and a wash-hand basin . Complete kitchen, a large living room, a bathroom with shower and 2 wash-hand basins . 1 separate toilet . Internet WIFI, TV, DVD player, Radio CD player . PRIVATE PARKING and ski storage . LES MOUSSOUX : Neighbourhood residential facing Mont-Blanc, very peaceful and sunny, 10 mn by walk to the center of Chamonix, 500 m from the BREVENT, FLEGERE very greats skiables fields and near the forest and hiking trails . Wonderful chalet with lots of character. Very clean and comfortable. 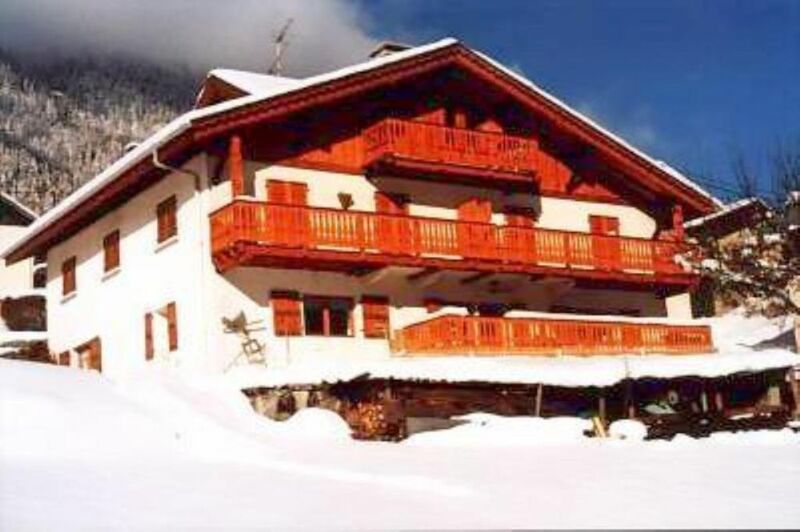 Wonderful chalet, awesome vows, spotlessly clean and 500 metres from ski lift. Daniel's chalet is situated in a lovely part of Chamonoix, rustic and charming. The chalet is very comfortable and decorated nicely. We had everything we needed including washing machine. You have a balcony which you can view Aguille du Midi and Mont Blanc. Daniel was an excellent host, meeting and greeting us and generous with sharing info re the area. He was relaxed and very friendly. We will definitely be back This is a gem of a place and location and very reasonably priced. Thank you! Thank you louise, it was a pleasure to receive you with your family, you will always be welcome at home in this beautiful Chamonix Valley . Daniel was incredibly helpful in providing us with everything we needed, including transportation to and from the train station. I would love to stay here again with my family. Very nice and cozy place in Chamonix!! We enjoy our stay!! And the owner was very welcoming. (Text automatically translated) BY CAR: Direct access by white highway (European network) BY TRAIN. Gare de Chamonix or optional stop (the Moussoux) BY PLANE. Geneva Airport 80 km.